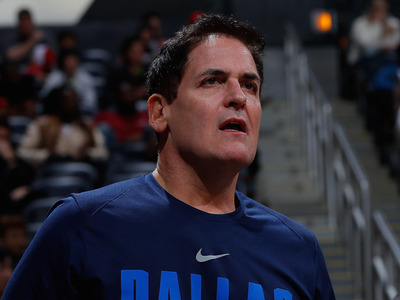 Recent sexual misconduct allegations involving the NBA’s Dallas Mavericks could affect billionaire businessman – and Mavs owner – Mark Cuban’s possible 2020 presidential bid. One source told Business Insider they felt Cuban did a much better job addressing the matter than Hillary Clinton did when faced with allegations against a campaign adviser. Another source said it may be better for Cuban to forget about seeking office. Billionaire businessman Mark Cuban has long teased a possible presidential bid in 2020. But with news of sexual misconduct allegations within his most prominent business – the NBA’s Dallas Mavericks, which he owns – some political veterans are debating whether Cuban’s possible campaign could be derailed before it even takes off. On the other hand, Matt Mackowiak, a Republican strategist and founder and CEO of the Potomac Strategy Group, told Business Insider he could see some problems arising from the allegations. However, he said he’s always been “bearish” on the idea of Cuban launching a presidential bid. Cuban, who also stars on the hit ABC show “Shark Tank,” is now dealing with the fallout of those allegations, which were first reported by Sports Illustrated last week. In the crosshairs of many of the allegations was former team president and CEO Terdema Ussery, who left the team in 2015. Ussery was first investigated by the Mavericks after complaints by female employees in 1998, the report said, two years before Cuban purchased the team. But the story leaves Cuban facing questions about how such an environment could exist underneath an owner who has presented an image of his involvement at every level of the organisation. Certainly, those questions would be brought up during a gruelling and brutal presidential bid. But while Mackowiak said the “#MeToo problems he may be dealing with in his business” are “certainly an issue,” Cuban’s bigger problem, he said, is that he does not fit very well into either the Democratic or Republican Party. Cuban himself cites that as a strength. At the same time, Sullivan praised Cuban’s response to the matter. If he wants to put some of the headlines around this story behind him, however, Mackowiak said there’s an easy way to have a little less attention on his organisation’s problems.